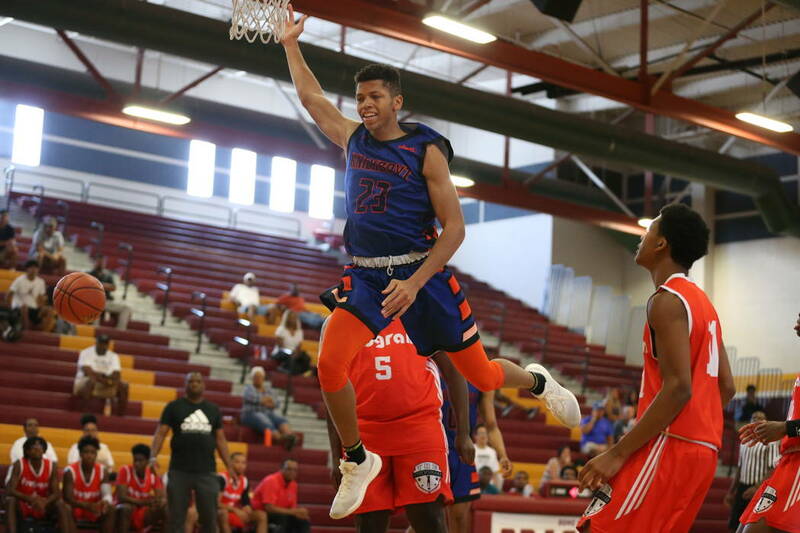 Nick Blake, who just completed his junior year at Durango, is heading west to join Middlebrooks Academy (California) and reclassify to the 2020 class. 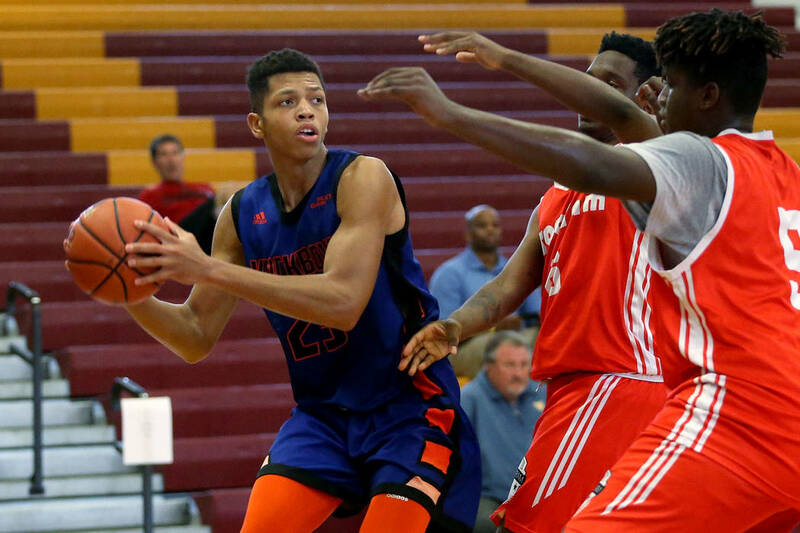 Before he spoke of his transfer, Nick Blake mentioned how he liked the AAU season because it breaks up the monotony of playing the same high school teams every year. It appears that won’t be an issue anymore. 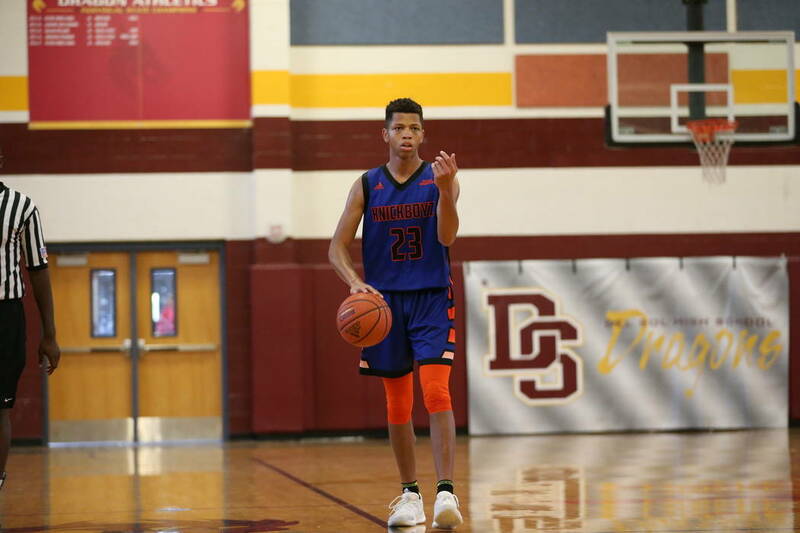 Blake, who just completed his junior year at Durango, is heading west to join Middlebrooks Academy (Los Angeles) and reclassify to the 2020 class. 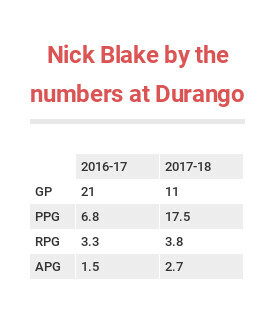 An injury to his Achilles tendon stole what could have been an exciting junior year from Blake. The 6-6 guard was ranked as ESPN’s No. 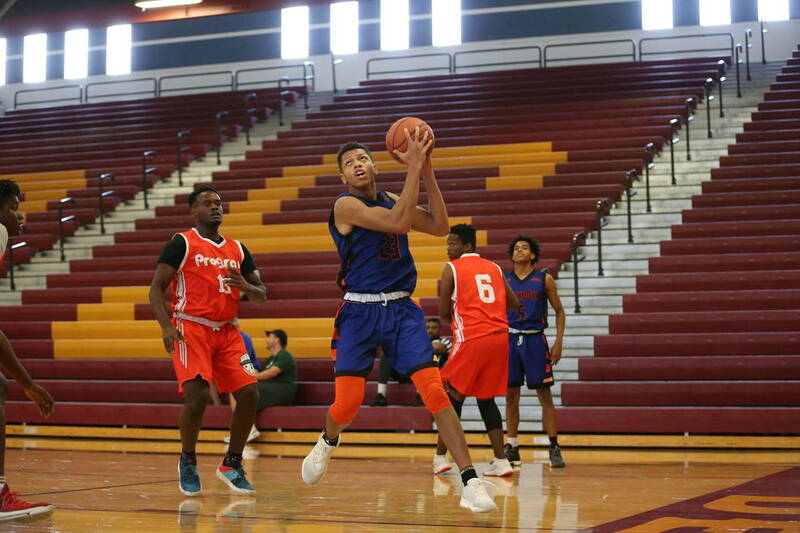 2 player in the Nevada Class of 2019 before reclassifying, and averaged 17.5 points in 11 games. But he wasn’t getting the college looks he was hoping for. 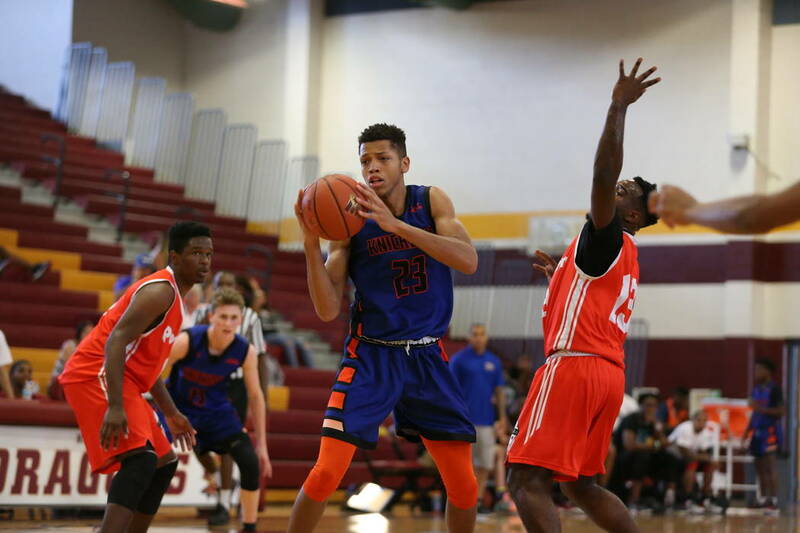 He received seven scholarship offers, with Xavier being the only 2018 NCAA Tournament team of the group. According to 247 Sports, Oregon State was the only Power Five conference school with interest in him. 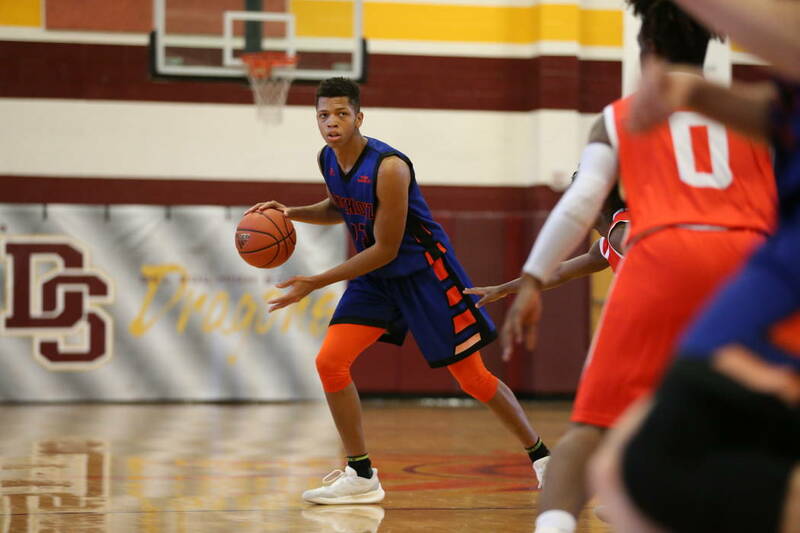 Not only does he get new high schools to play again, Blake also gets another year of AAU with the Las Vegas Knicks. So he’s not exactly leaving the valley for good. And Knicks coach Lamar Bigby is happy about that. But there are still people he is leaving people behind, like Knicks teammate and former Durango teammate Anthony Hunter. 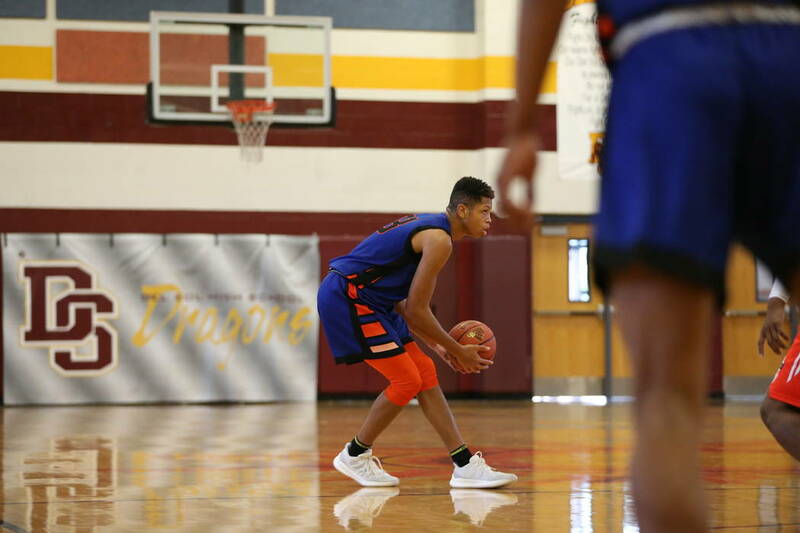 The soon-to-be junior had to carry the load at the beginning of last year’s high school season with Blake out due to an Achilles tendon injury. Blake returned for the final 11 games of the year. 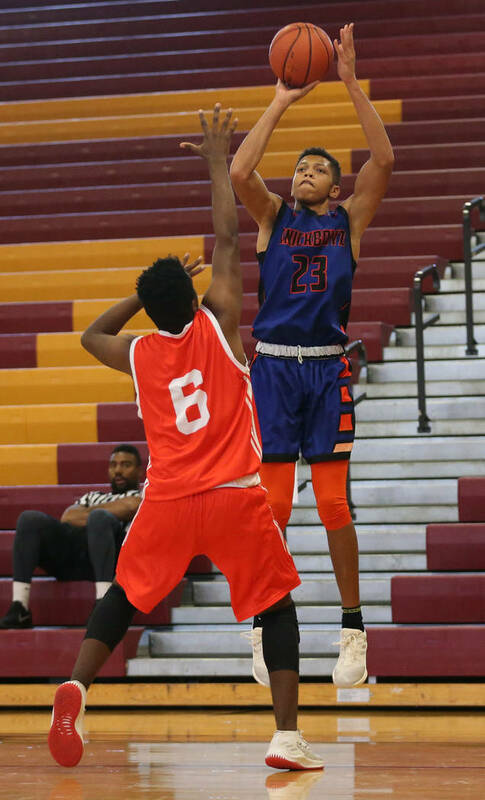 Hunter, who was named an All-State honorable mention, was looking forward to a full season of playing with Blake in a revamped Desert Region. Blake is upbeat about his transition. 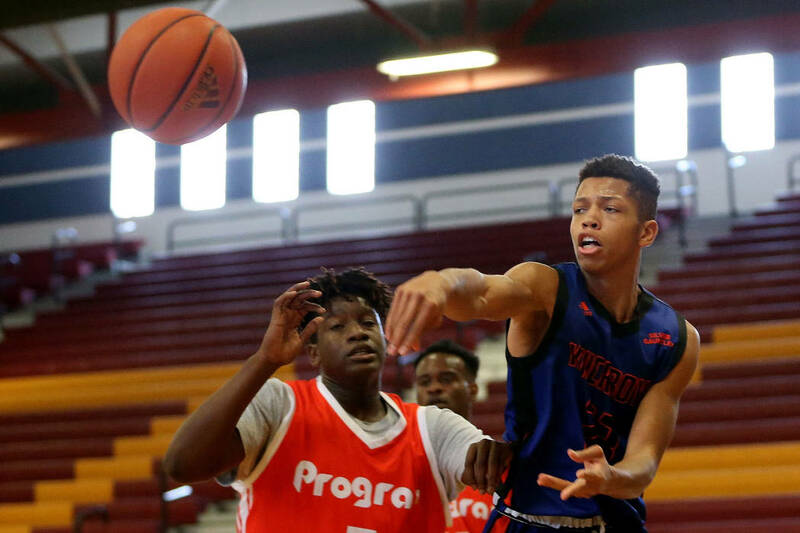 He said it won’t be easy leaving the only home he’s known, and leaving a Durango team that improved greatly upon his return to the lineup, but at the same time, he sees California as a new frontier to showcase who he can be as a player. “I was born and raised here, so it’s definitely home to me,” Blake said. “Change is good.